Sounds of the Valley Chorusis more than just an a cappella ensemble, it is a family. We love getting together each week, and sharing friendships as well as great music. 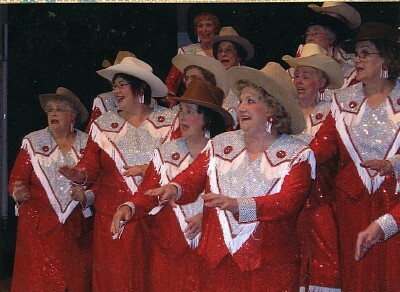 If you like to sing, you're invited to visit Sounds of the Valley Chorusand discover your INNER DIVA! Sitting in on one of our rehearsals is the perfect way to find out more about us, and what we can do for you! You'll have the opportunity to hear us perform four-part, a cappella harmony, and you'll be invited to join us on the risers to experience the music, friendship and fun for whichSounds of the Valley Chorus is known! Guests are welcome to participate in anySounds of the Valley Chorusrehearsal,Wednesdays, at 7pm. Trinity Methodist Church (Corner of 5th Street and Flume). Entry door is on Flume Street. There is parking on the street and in the lot on the West side of the church. (Do not use the City Parking lot across the street as it’s not safe after dark). There will be AC! to meet you! 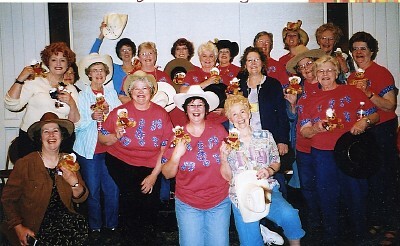 Our members travel from all overa three-county area to sing withSounds of the Valley Chorus. To quote one of our members, "It's the love of singing that brought me toSounds of the Valley Chorus. It's the enthusiasm, fun and lasting friendships that keep me returning week after week. I love it!" Visit us and find out for yourself!